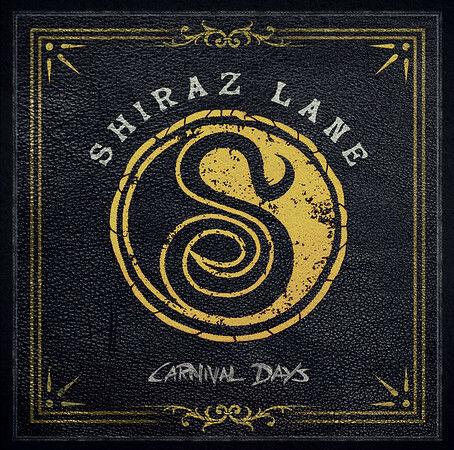 Finnish band Shiraz Lane recently released their second album, “Carnival Days” through Frontiers Music. The band features Hannes Kelt on vocals, Jani Laine on lead guitar, Miki Kalske on rhythm guitar, Joel Alex on bass and Ana Willman on drums. I’d posted a recommendation for the band’s first album back in April 2016 and the second album is definitely worth checking out – http://www.rockradioni.co.uk/back-stage/music-reviews/3317-ni-rocks-recommends-qcarnival-daysq-by-shiraz-lane.html . To find out a little more about the band and the album I arranged to get some questions answered via e-mail. My thanks to Ana for taking the time to respond and to Gary for organising things. NI ROCKS – Hi, thanks for taking the time to answer a few questions for Rock Radio NI. The band’s second album “Carnival Days” was released by Frontiers Music on 23rd February. Where was the album recorded and who did you work with for production, mixing etc? ANA – “Carnival Days” was recorded in Fascination Street studios/Studio Gröndahl, in Stockholm. The album was produced by Per Aldeheim, mixed by Linus Corneliusson and mastered by Tony Lindgren and Jens Bogren. NI ROCKS – It’s been almost two years since the release of the debut album “For Crying Out Loud” in April 2016. When did work start on writing tracks for the new album and is there a standard process for song writing or is each very different? ANA - When we came back from our first European tour supporting Lordi in December 2016 we started focusing on composing songs for the new album. We had a few ideas before, but that's when the work really began. Making each song is a bit different but the process is mainly the same. One of us has a spark, an idea or a riff and then he shows it to the rest of us and we start working on it piece by piece. We tend to jam a lot in the rehearsal room and that's where the songs always find their final form. NI ROCKS – How long did the new album actually take to complete from first recording session to being ready for release? ANA -The first recording sessions were actually in February 2017 when we started doing pre-production and demoing the songs. The actual recordings of the album started in June so it took about 8 months to be released. NI ROCKS – People often refer to the pressure surrounding the second album when the first has been well received (which “For Crying Out Loud” was). Did the band approach the recording of “Carnival Days” differently at all from the debut album? ANA - We had much more time to do “Carnival Days” comparing to the first one. We could focus on making a great pre-production and didn't have to rush with things. We did “For Crying out Loud” in a hurry and in a small basement studio with our friend, Ben Varon, producing it whereas “Carnival Days” was recorded in a more professional studio. We never felt the pressure of the second album, more the opposite, we were really excited and pleased to work in a more professional way with much more time than with the first one. And we all knew we were making something greater than with “For Crying Out Loud”. NI ROCKS - The first release from the album was the track “Harder to Breathe” in October last year. Tell us a little about that song? ANA – “Harder to Breathe” was one of the first songs on the table. It was co-written with our producer Per Aldeheim and we immediately felt its' strong hook for a single. It became pretty easily ready I think and we didn’t have to struggle much with the song, everything came naturally. NI ROCKS – There was also a video released for “Harder To Breathe”. Who did you work with for the video? ANA -Our bassist Joel is a multi-talented dude, he filmed, edited and directed it. He has been in charge for our every video so far and we love working that way since it makes possible for us to have our vision 100% visible. The video is really DIY, we made the set pieces by ourselves and everything. NI ROCKS – The period after the release of the debut album was a busy one for the band with a lot of touring and gigs. What were the highlights for you from that period? ANA - Impossible to pick only one moment, but our first European tour as a whole was beyond amazing for us. We supported Finnish monster-metal group Lordi for seven weeks living in a small camper car. It was one hell of an experience and I'm sure each of us will remember it for the rest of our lives. NI ROCKS – What plans do the band have in place to tour in support of the new album? NI ROCKS – The band formed in Finland in 2011. Had any of you been in different bands before that and what were your influences musically when the band was coming together? ANA -I had played drums for quite a while and in a few different bands and line-ups, Jani as well had played a lot with different musicians in school and so had Miki. Hannes however hadn't sung much before this band so we all have different stories with our history before forming Shiraz Lane. Musically our roots was deeply in old school Hard Rock, band like Guns N' Roses, Skid Row etc. Those were our earliest influences but obviously with time, our influences have gone a lot further than that. NI ROCKS – The debut EP “Be The Slave or Be The Change” was released in 2015. How difficult was it to get to that point of being able to record and release something? ANA - We had a great drive at that point. Joel joined the band in the summer of 2014 and the final piece of our puzzle was found. We started working relentlessly with new songs and quickly had developed our own sound. Joel knew this guy who owned a studio in Eastern Helsinki so we just went on with it without thinking too much, paying the recordings and the release by ourselves. I still think the EP turned out brilliant and you can hear the attitude and state of mind we had at that time. NI ROCKS – Coming back to the new album; there was a video released for the track “People Like Us” in January. Tell us something about that track and the video. ANA - “People Like Us” was an early track for the album like “Harder to Breathe”. The groove to it is something we all were fans of. The lyrics are trying to encourage people to stand together as a whole, as a unity and we wanted the message to be seen in the video. With this video I think Joel shines as a video editor. NI ROCKS – A couple of questions that I always like to ask. Can you remember the first gig that you went to and the last one? ANA - The first one I recall was The Scorpions in Ankkarock. The year must have been 2003 I think. I was a huge fan of the Scorpions ever since I was a kid. The last one is harder, mostly I've been at friends' gigs lately, Blue Eyed Sons for example. And I went to see Brother Firetribe a few months ago in Helsinki. We did a tour with them in October last year, so I knew the setlist pretty well. NI ROCKS – And the first album that you bought and the last? ANA - The first one I'm not sure at all. Could have been some Metallica, The Scorpions, Popeda or Guns n' Roses. The last one was Soundgarden's “Superunknown”. A great album. NI ROCKS – It was pointed out to me recently that Finland has the highest ratio of rock and metal bands per population in the world. Any suggestions for other up and coming Finnish bands that we should check out? ANA - Sure. There's lots of great new bands from Finland. Definitely check out Blue Eyed Sons for a bit more psychedelic, 70's vintage rock and Block Buster for more modern, headbanging rock to begin with. NI ROCKS – There was a gap of almost two years between the first two albums. I know it’s very early days, but has any thought been given to the third album? ANA - Right now we are focusing on touring for “Carnival Days”. I know it's gonna be really soon we'll get back at jamming and creating something new, but it's gonna take a while until anything specific can be said both schedually and artistically. NI ROCKS – Getting back to the new album, do you know if there is going to be another track or video released and if so which track will it be? NI ROCKS – Was there any track on the album that took longer than the others to get to where you wanted it to be? ANA - Reincarnation started as an idea that Miki had. He wanted to make a song describing the circle of live both lyrically and musically, and he had some of the parts already in mind back in 2014. We started jamming it out trying to fit the pieces together but struggled a bit with the melodies. We decided we needed more time so we put a pin on it and focused on the songs of For Crying out Loud. It was a great decision not to push it too much because the experience we gained making the first album helped us finalizing this progressive masterpiece. The version we had in the pre-production sessions in spring 2017 was actually even longer and we ended up squeezing a bit making it perfect for the record. It was a long way getting it done but we all are really proud we managed to pull it off. NI ROCKS – Other that the tracks that we’ve already mentioned, which is your favourite on the album and why? ANA - It's always really hard to point out your favorite one since all the songs are like a child for you and each song has a purpose in the big picture. Reincarnation is maybe my personal favorite to play live and Shangri-La's melodies are probably the most beautiful ones in the album, but the favorite song always depends on your current mood and state of mind. NI ROCKS – Thanks for taking the time to talk to Rock Radio NI. Best of luck with the new album. ANA - Thanks for the interview! Peace out!